Ratboy I heard will ride but just for fun as he's over all the cooperate giants, not sure if anyone noticed this season but he dropped Monster they didn't drop him. Sam id hate to see him leave DH he's still got it in him I just think a new team will fire him up again, maybe Barel is reading this if so sign HILL!!! 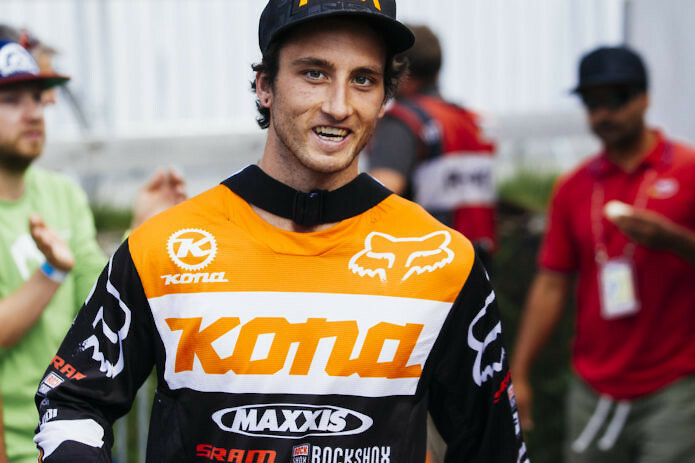 Brayton has had a great season maybe he should join Brendo on Scott as he's still riding the older frame and has podium'd over both brendo and Niko so drop Mulally! Unless Barel is reading this and wants to sign him haha! claudio and warner mentioned "we gotta talk rat boy out of it" today during his run on the webcast, as if he's quitting. so curious! Rob and Claudio talk about Josh like he was done with riding period. To each his own, but considering he is two years removed from winning the over all. That would be a shock, however he is a pretty laid back guy. Remember that Mik took a year off. This sport spits you out pretty good mentally and financially unless you are a long time consistent rider. How many guys are over 30? And how many of those guys are preforming race in and race out? Greg? Sort of Gee? Sam when he feels like it? Mik?Sort of when healthy maybe Needles? this on their contract (Finn and Loic for sure). If that is true, then it will be interesting. I can see Devinci going all out to get Finn. It would be neat to have the length of everyone's deal, but of course that would never happen. The Canyon thing does not surprise me with Cube and Radon coming into the game over the last few years. Gas to Flat, interesting deal selecting your own frame and then Hope and Ollins stuff. However, if someone came along with a factory deal, it would be hard to turn it down. He is always so fun to watch. "Lot of speculation as to where Troy Brosnan will be riding next year." Rob Warner in the live race feed yesterday. Space to fill on Norco, Brosnan and Vergier's departures creates a space on Specialized, reckon they'd like a US rider? Sorry to see Bruni split with protege Vergier? Bryceland really feeling Peaty's absence, think it's pretty clear his influence was needed to keep Josh focused/hungry/fun practicing. Seems a very long time till the first 2017 world cup in Lourdes April 29, and only 6 world cup DH races. I know Ratboy has met with Intense, and that he "dislikes" racing world cups to put it lightly. That is racing, not riding, this guy would be out having a time on his bike whether sponsored or not. Regards to his focus and training? Don't be fooled, people thought the same about Palmer and he was putting in just as much if not more hours than anybody, and Ratboy is the same. He doesn't need Peaty to focus, he just needs something he enjoys being focused on. If specialized are looking for a new American rider then Charlie Harrison would be my guess with his recent results and not on factory support. Jared Graves has splashed a pic of his new demo, room on the Specialized team you say? I get the feeling Ratboy just needs a year off. He feels trapped and would rather just go get loose with his boys. Kind of like what most kids do in college. They party a bit too hard then remember "oh yeah, these are the things that really make me tick". Just a guess. It all went wrong when the hair got cut. He'll need a season off just to grow it back. Kind of crazy the Syndicate has been together for 8 years with the same core group. That's a long time l for any team in any sport and they've been pretty damn successful. His contract ends this year so a move is possible.... But honestly I just don't see him moving. From what I understand talking to some folks he is well taken care of and really enjoys riding for Kona... so if he moves it's gonna have to be for a big chuck of money. I have an incling he may be considering offers from multiple brands. We’re thrilled to announce Connor Fearon has signed a two-year extension of his contract. The young Australian gravity shredder has been piloting a Kona since 2010 and will continue to race his Operator DH machine through the end of 2018. Connor had a stellar season on board the new Operator, riding it to two top five podium finishes. The quiet, all-round rider has been making some noise recently. One of the most exciting riders on the World Cup circuit to watch, his dependable top 10 placings, highlighted by trips to the podium in Switzerland and in Andorra last weekend, had him exceeding his own personal goals for the season. Connor’s consistent 2016 season resulted in a top five finish in the 2016 UCI Downhill World Cup standings. His passion for all-things-bike includes his input and heavy involvement developing the new Operator that will be available this fall, and was very evident in his excitement about his Ti Humuhumu ‘signing bonus’. Kona co-founder Jacob Heilbron offered Connor his personal Ti Humuhumu as a signing bonus. The Downhill World Championships are just days away and Connor will be piloting this one-off green and gold Operator on the well-loved track at Val Di Sole, Italy. Things aren’t slowing down for Connor anytime soon, after this weekend’s World Championships in Val Di Sole, Italy, he’s heading to Canada to star in a video showcasing Kona’s new Hei Hei Trail bikes and then teaming up with Aggy at Retallack to finish up the Operator video, a project spanning two summers and a full World Cup race season. Connor will continue to pilot the Kona Supreme Operator with support from our key sponsors SRAM, RockShox, WTB and Maxxis. * Greg being content where he is at and mentioning end of last season leaving on a high note as well as possible health issues? Peaty made it clear he will still be around the scene but only went as far as to mention festivities side of things. If the Syndicate was still going to be around I would think he would have made some mention of his involvement in helping Syndicate next year in his retirement interviews. youda man Josh! keep shining! Haha look at that! Only time I'll probably be part of a front page article haha. Aaaand all I can say is BOOYAH!!!!! Glad to see him stay!!! You heard it here first! The Rat is joining forces with Peaty next season under SPS with an outside chance of Sam Dale jumping ship from GT!!!!!!!!!!! Yeah imo the new Santa Cruz ownership is a buzzkill for the Syndicate boys. Ratboy is gonna race but just not for them. I could see Ratboy maybe not racing next year and just making videos instead, but I feel like he will stay with Santa Cruz. 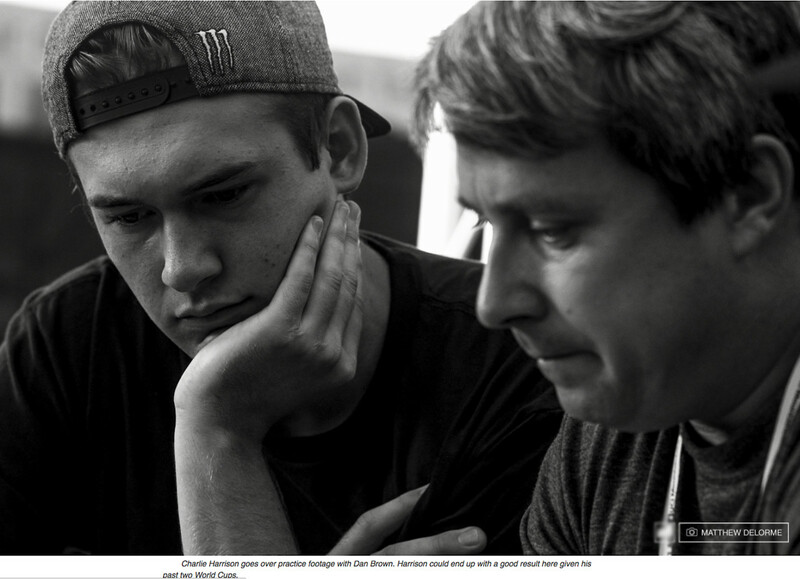 As for the Sydnicate I could see Luca Shaw fitting in nicely alongside Minnaar since that seems to be the rumor already. The Syndicate dissolves and Minnaar retires too, can't say for sure about Ratboy but I wouldn't be surprised if he quit racing World Cups and just doing the BDS. Saw this while sniffing around the web. I know Charlie rides for Trek but could he be with the Athertons next year? ?